People love their plants, and it’s easy to see why. You put time, love, and care into them. Who wouldn’t get attached? Famed impressionist painter Claude Monet once exclaimed that his garden was his “most beautiful masterpiece.” You want to keep your “most beautiful masterpiece” alive as long as possible. Most house plants are usually pretty easy to take care of and keep alive. Usually. Unfortunately, that’s not the case during a big move. 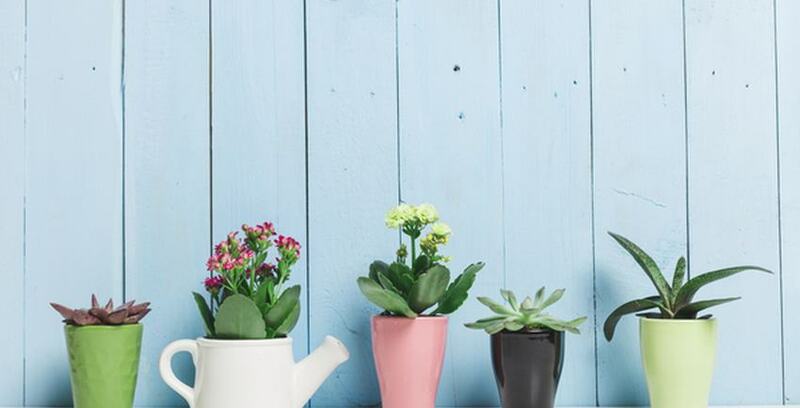 It can be surprisingly difficult to save even the hardiest of house plants while you’re moving. If you’re going to keep your plants alive during your move, you’ll have to plan ahead. Here’s how to do it. Follow these steps, and you’ll be able to keep enjoying your house plants in your new home. This sounds counterintuitive, but under-watering your plants before a move will make the process considerably easier. If you’re like most plant owners, you probably naturally give your plants more water than they need. Usually that’s not really an issue, but during a move it could create problems. When you overwater, your plants absorb all the water in their soil. Instead, this water sits on the surface of the soil, where it can slosh around and spill. Saturated plants are also heavier and more difficult to move. Watering your plant slightly less than usual before you move it is a good way to avoid these problems. You can always resume your regular watering regimen once you’ve safely transported your plant into its new home. Plants are delicate, and so are their pots. Protect your plant pots during transit by wrapping them in bubble wrap or a heavy blanket. Make sure you don’t leave the plant itself in a cramped or covered place for too long. Plants still need some sunlight, even if you’re moving them. Houseplants don't like wind, heat, or being jostled around. Don't transport them in an open-backed vehicle like a truck. In fact, don’t transport them without figuring out a way to keep them secured and relatively still during the trip. You’ll also have to keep an eye on how much sunlight your plant gets while you’re transporting it. You want it to get about as much sun as it did while you kept it in your home. Much more or less than that, and it could wilt. Just like your pets and self, your plants need time to adjust to their new home. Moving your plant is only the first half of their journey. The second half is making sure they adjust to their new home correctly. Take extra steps to protect your plants. Add a B-1 supplement to the first watering after the move. Make sure they’re getting the same amount of light, heat, and moisture as they were in your old home. Don't panic if they lose a few leaves - it's normal. Moving’s almost as stressful for your plant as it is for you! Moving is a big deal for anyone - and your plants are no exception. Luckily, it’s not something you have to deal with alone. Storage Direct is always happy to help make your move as stress-free as we possibly can. Whether you need a place to keep your plants or any of your other possessions, we’ve got you covered.